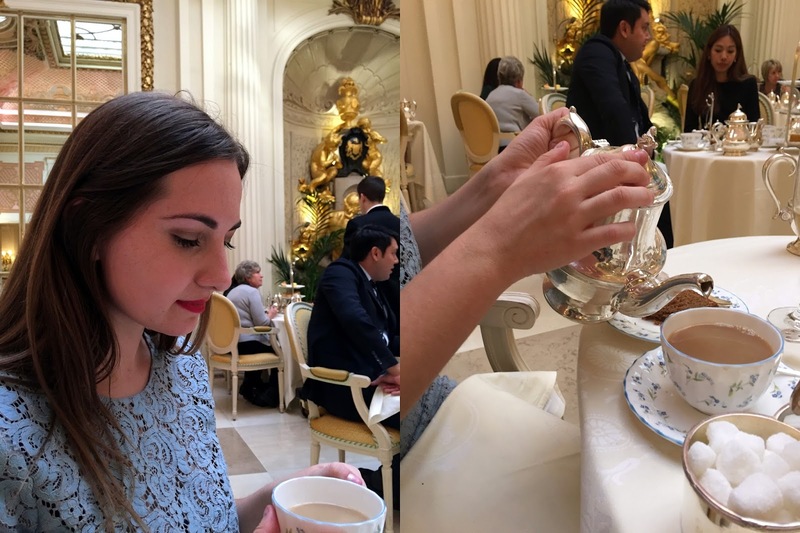 "OH WOW THANK-YOU" was the first thing I said after being gifted a voucher a Champagne Afternoon Tea at the Ritz. Then it dawned on me: what the hell am I going to wear?! I went straight to google. Always go straight to google. After looking through multiple blogs I kinda got an idea of what would be appropriate and what wouldn't be. While I was in Paris I picked up this cute little number from Zara. Seeing as it was Winter I kinda had to wear tights and a big ole coat but I think it all tied in together nicely. ALSO want me to let you in on a secret?......my heels are from Primark! I bet if staff got word that I was wearing Primark heels I wouldn't have been allowed in. I mean, it is The Ritz after all. concierge that guided us to the main hall where the afternoon tea would take place. We put our coats in the coat room and then were lead to our seats in the dining area. My eyes were like the heart eyed emoji. I was trying to keep my cool but everything was so grand and pretty. There was also a woman playing the piano beautifully. On top of that the waiters were mostly Italian and had gorgeous accents that made me swoon. Don't worry guys, I kept my cool. They promptly brought over the high tea stand which was littered with sandwiches, scones, and my favourite: desserts. They also brought over silver tea pots filled with our tea of choice (Earl Grey, mmm). In the photo above I am seen pouring my own tea but in reality 9 times out of 10 they would come over and top it up for me. OH and not to forget they also gave us our champagne which was ace. Here's a photo of my mum an I. 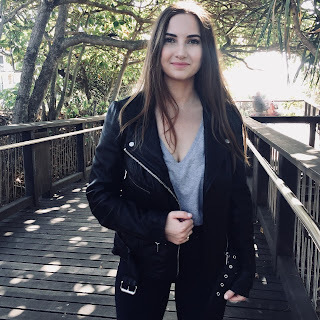 Really had to convince her to let me post this cause she was like "nup, no way, I look terrible". The waiter actually asked US if WE wanted a photo for memories. Here I was - adamant that it would totally be cringe to ask someone to take our photo - and here the waiter offered. YES PLEASE. I'll be honest: majority of people in The Ritz don't look like business men or elite women stopping by for an afternoon tea. I'd say everyone looked as if they were doing it for the novelty. 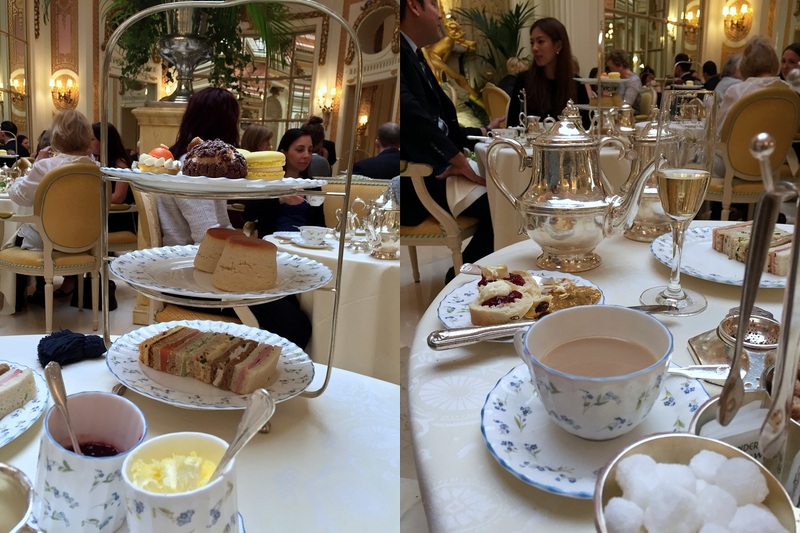 I mean, yeah, if you're in London why not splash out and have an afternoon tea at The Ritz. Essentially that was what my mum and I were doing as well. After eating multiple sandwiches, scones and desserts I was done. ........well, that's what I thought. A waiter came around with a trolley filled with various cakes. He recommended we try the chocolate hazelnut cake. Um..yeah..a girl can't say no to that. It was delicious and I sighed relief at the fact that I wasn't wearing a pair of tight jeans. After we finished up our slices of cake we got up, thanked our waiters, collected our coats and were on our way. It was a beautiful experience but I probably wouldn't do again, but was glad to have done it to say "I have had afternoon tea at The Ritz". The website states 'smart casual'. Gentlemen are required to wear a jacket and tie. Jeans and sportswear are not allowed for men or women. I found what I wore was spot on appropriate. It wasn't too dressy but at the same time still looked classy. You can't go wrong with a dress and heels. Or perhaps a pair of cigarette trousers with a blouse and heels. There are 5 sessions throughout the day: 11.30, 1.30, 3.30, 5.30 & 7.30. They each go for 1 1/2 hours. We found that was more than enough time. Yes, yes, yesss. Absolutely. We booked almost a month in advance and the only availability was the 11.30 session. So definitely try and book as far in advance as you can. If anyone has any questions about the experience please feel free to ask and i'll get back to you. We're all pals here! Oh my goodness!! That is seriously gorgeous!! That sounds amazing! I'm so jealous! This has made it onto my wish list. Oh wow... I need to go there one day! Lucky you! Even though I live in the UK, I live like quite a while away from London!